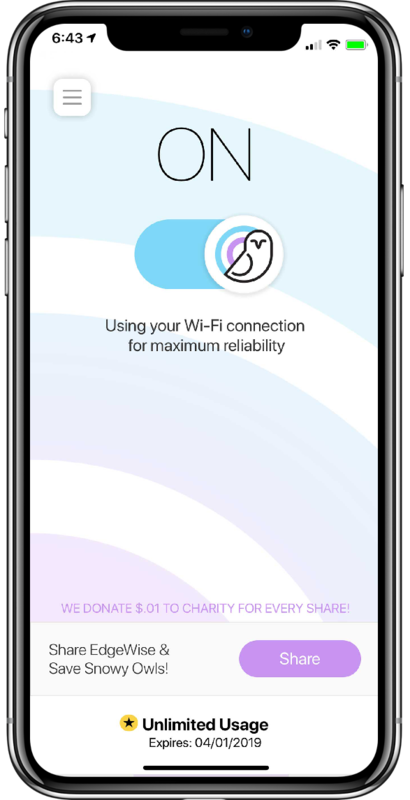 EdgeWise Connect is a streamlined VPN that swoops in whenever necessary to seamlessly switch you between Wi-Fi and Cellular preventing slow or non-working hotspots from interrupting your online activities. 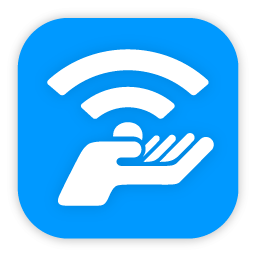 EdgeWise Connect keeps you online when you’re at the edge of Wi-Fi - that place where videos freeze, maps won't load, calls drop, and audio skips. But thats not all - EdgeWise uses VPN technologies like bank-grade encryption to ensure that no one is able to spy on your Internet activities. 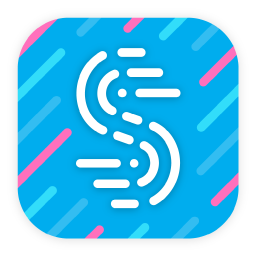 When you step out of Wi-Fi range or connect to a bad hotspot, EdgeWise Connect swoops in to seamlessly move your web traffic over to your cellular connection. 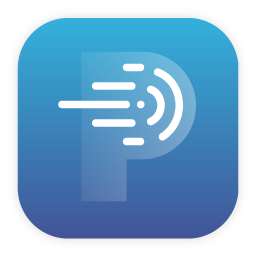 When you’re back in range, the app moves your traffic back over to Wi-Fi to conserve potentially expensive cellular connections. We donate 3% of revenues to charities committed to the preservation of these mystifying birds. 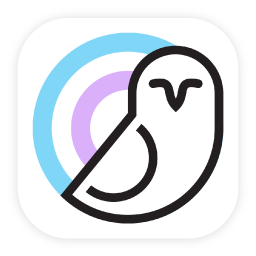 Our current partner is Project SNOWstorm, an organization that uses science to understand snowy owls, and to engage people in their conservation. Our intelligent Channel Bonding technology will keep you online even if your Wi-Fi fails. EdgeWise Connect is fully encrypted, so no one can spy on your traffic or steal valuable information.